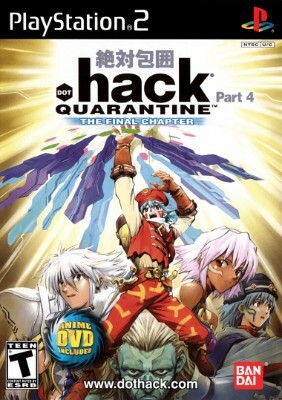 .hack QUARANTINE Part 4 The Final Chapter (Sony PlayStation 2, 2004)! .hack QUARANTINE (Sony PlayStation 2, 2004) PS2 Dot Hack! RARE! Complete! CIB! .hack QUARANTINE Part 4 The Final Chapter (Sony PlayStation 2, 2004) CIB - NICE! .hack//QUARANTINE (Sony PlayStation 2) - Complete!